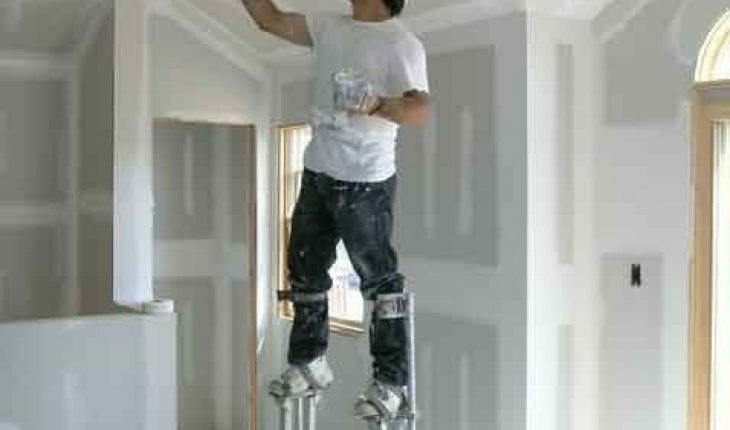 Drywall finishing is a very important part in constructing houses, buildings and other forms of establishments. Although it is quite an easy task for some people, others lack the skills as well as the proper information to get the job done. Make your ceilings and interior walls look beautiful and more durable with the help of these simple and easy-to-follow drywall finishing tips. By creating good quality hanging jobs, it is very easy to have a perfect drywall finish. Position the material tightly against ceiling joists and wall studs. Put the screws in strategic places, where they cannot tear the paper. Furthermore, put enough number of fasteners in order to have satisfying results in the end. When used as a wall, put a screw after every 16 inches. Meanwhile, when the material is used as a ceiling, it is good to put a screw after every 12 inches. Using pre-mixed mud is always a convenient option. Get a nice clean box or a bucket and then place the pre-mixed mud inside. If this material is too stiff to use, add a small amount of water to improve its texture. Whip the mixture until in acquires a creamy consistency just like that of cake icing. It must be free from lumps. Limit the amount of air that goes into the mixture as much as possible. Slowly mix the mud and then keep in mind not to put too much water into the mixture. For tapered seams, it is better to use mesh tape. On the other hand, paper tape works best at the corners. Moreover, paper tape can also be used for tapered seams, although mesh tape is better. For finishing, one of the best tools available is broad knives made from stainless steel. Meanwhile, a steel blade with a width of about five inches is good for taping. Get a file and then use it to round off the edges of the taping knife. The use of brand new knives is discouraged because of their sharp corners. The flat seams must be done first. The inside corners come next. Nail the curved corner beads and metals properly before taping. Pour mud on about 4 to 5 linear feet of flat seams. The same also goes for the corner areas. Proceed by applying more amounts of mud to the drywall. When you finished taping, apply the second coat right away. When applying the second coat, do it one day per side. Wait for the mud to dry at one side before moving on the next side. Apply the third coat. Be sure that the nails, corners and seams are covered and sanded properly. Before painting, be sure to use the right primer. A highly recommended product for the job is First Coat, which is manufactured by USG Corp.